Make an impact in the world-class Burke B caravan. 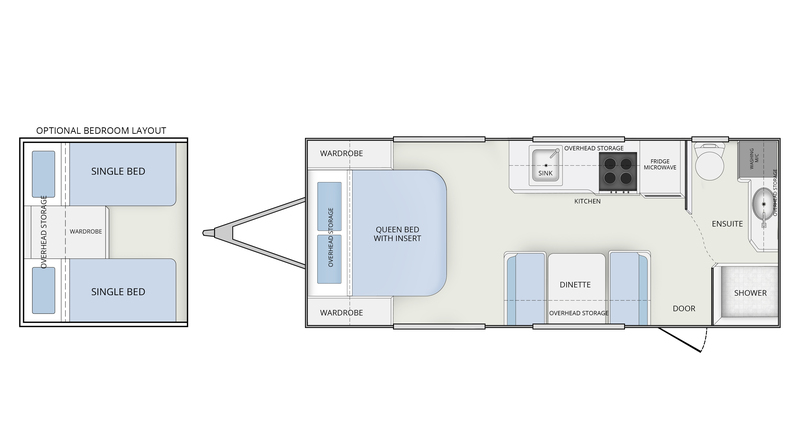 Its striking signature Winnebago exterior and ample standard features, allow you to enjoy more adventure wherever you are. Step inside to a light-filled interior with designer features including premium upholstery and ultramodern cabinetry highlighted by stainless steel and black accents. With your choice of fixed Queen or single bed layouts, a spacious ensuite and picture window capturing outdoor views, the Burke B is the caravan you want to take places.